The JBL Boombox Bluetooth portable speaker lets you listen to music all day long with a rechargeable 20,000mAh Li-ion battery that supports up to 24-hour playtime. Equipped with two 20 watts speakers and two tweeters, this JBL wireless speaker delivers monstrous sound along with the hardest hitting bass. The JBL Boombox is the best wireless speaker for outdoor parties as it's rugged enough to handle your wilderness. The IPX7 waterproofing technology enables it to be the ideal device for beach and pool parties. Also, you can switch between indoor and outdoor modes to optimize sound wherever the party is. 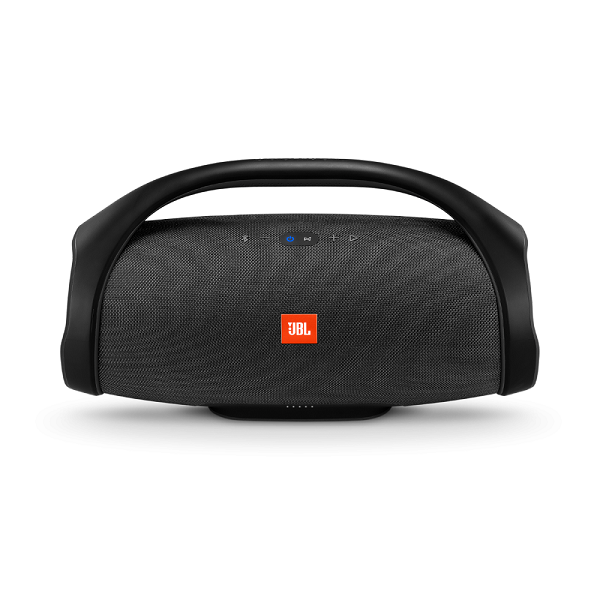 Another remarkable JBL Boombox feature is that it can be used as a power bank and lets you charge your external devices anytime to keep the music rocking. Using the JBL Connect+ technology, you can connect to more than 100 speakers to make the party huge.